Dental implants treatment is one of the best choices you can make to replace your missing tooth. The dental implants mimic the function of your natural tooth by allowing you to speak, laugh and eat without any discomfort. Affordable dental implants in Melbourne have a high success rate of nearly 95%, and when taken care and maintained properly, it can last a lifetime. However, there are various factors that may influence the success rate of your dental implants. The factors can be divided into local factors, general health concerns, and maintenance issues. Also, you need to ask your dentist whether you are a good candidate for dental implants treatment. The proper case selection can reduce the dental implants failure. There are many factors that affect the dental implants success rate and knowing them can help you eliminate the dental implants failure. As you know, using tobacco is not good for your health; it can also cause dental implant failure. Tobacco in any form can decrease the blood flow to your mouth making it difficult to your jawbone to fuse with your implants. Smoking is one of the main factors for gum diseases that may cause tooth loss and even dental implant failure. Before undergoing the dental implants treatment, you need to discuss the health history with your dentist. This may help you know whether you are a good candidate for undergoing dental implants treatment. Patients with uncontrolled diabetes and other health issues can affect the immune system. Due to this, dental implants failure may occur when your jawbone cannot recover from the initial stage of the dental implant procedure. So be sure to discuss your health history with your dentist before undergoing dental implants procedure. During the dental implant procedure, the dentist will place the implants into your jawbone and allow it for osseointegration process. It is the process by which your jawbone gets fused with your implants. The stability of your implant depends highly on the ability of the jawbone to fuse with your titanium implant. If the bonding is not strong enough, the dental implant failure may occur. 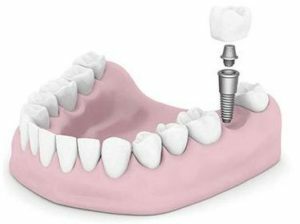 If you have lost a tooth and want to replace them with dental implants, you need to undergo the process without delay. Delaying due to the pain or the dental implants cost in Melbourne is unwise since bone loss may occur more quickly. Dental implants maintenance issue is one of the factors that may influence the success rate of dental implants treatment. After the dental implants treatment, you need to brush and floss twice a day regularly to maintain your implants in good condition. Also, it is recommended to fix regular appointments with your dentist to fix any mild issues in its initial stage so that you can make your implants last a lifetime.